Leverage the proven corporate governance insight and expertise of ICS to stay aligned with your investors. Marketing and Communications Email Opt–in: By submitting this form you are granting Institutional Shareholder Services Inc. (and its affiliated companies, including ISS Corporate Solutions, Inc., collectively, “ISS”), permission to email you including marketing, product, event-related and other commercial emails. You can revoke permission to email at any time by using the unsubscribe link or by emailing marketing@www.isscorporatesolutions.com. ISS is headquartered at: 702 King Farm Boulevard, Suite 400 Rockville, Maryland 20850, USA. ICS’ expert advisory team is equipped to deliver superior support to help you develop and manage your corporate governance program. Each dedicated advisor will have extensive industry-specific knowledge to help you customize a governance roadmap that is in line with your company strategy. Each company is different, and there is no “one size fits all” approach to crafting the right governance structure – even within a particular industry, geography, or company size range. The key is to understand what investors are looking for, where broader market trends are leading, what activists are latching upon, and what the appropriate response is given your own unique circumstances. 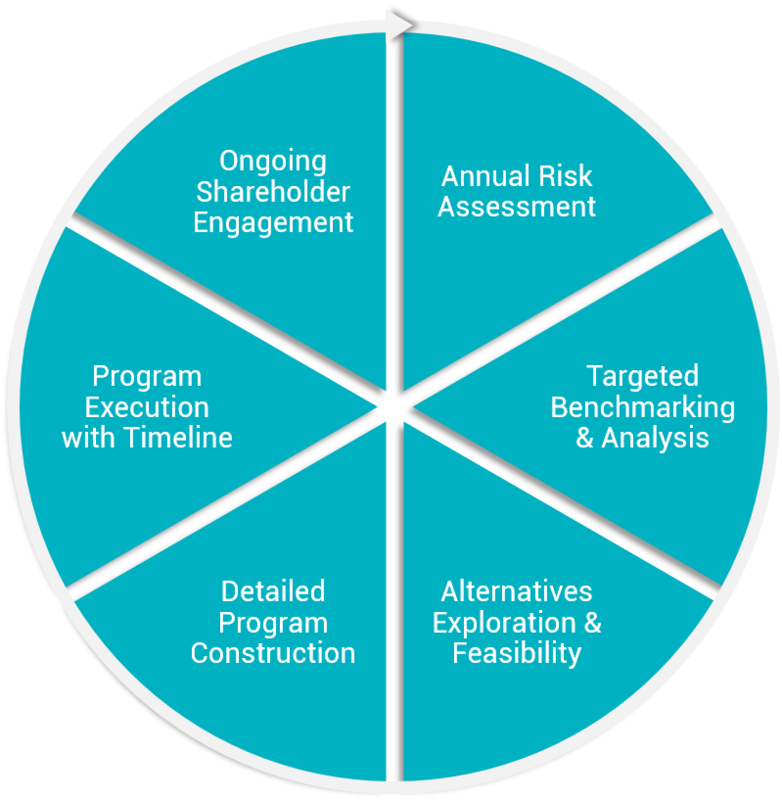 ICS advisors help develop your shareholder engagement strategy to first understand what concerns shareholders most and where they stand on upcoming issues. And they keep you abreast of activist trends within and outside your industry to ensure you are not caught off-guard by an emerging class of shareholder proposals. Your ICS advisor can also help you define a roadmap of governance changes – what changes should be made now, which changes should be considered in the short-term future, and which can be deferred for the foreseeable future. That roadmap is constantly changing, given emerging industry dynamics, changing company and shareholder base demographics, and evolving governance norms – but having a plan in place helps ensure your board is fully informed at all times. ISS Governance QualityScore is another area where ICS advisors offer considerable support. Your ICS advisor can help you understand the strengths and weaknesses in your governance risk profile, and ensure you are receiving all the credit deserved by your governance program. We can also put your governance program into context, helping you understand where your relative strengths and weaknesses are vis-à-vis your peers, industry, and more. Rely on your ICS advisory team year-round to help you manage a robust corporate governance program.